Hold an event at your synagogue, school or organisation’s premises and host a group event for people in need. This is an excellent cross-generational project for young children and adults, family groups and active older people, offering a great opportunity to form new friendship circles and share experiences together. Decide on a local group you would like to host for lunch or tea e.g. refugee families, housebound adults, those with physical challenges. Contact them to find out what would work for them in terms of timing, numbers and needs of guests, travel arrangements and food/activity preferences. Take a look at our Available Projects page for ideas. Organise a team to help you with the arrangements. Will guests come with their own carers if appropriate? Will disclosure checks be needed for the volunteers driving the guests to your venue? Appoint individuals to invite guests and keep the list updated, drive guests to and from the event, prepare catering, room decoration and entertainment, clear away and take photos. Make sure that your team knows what their role will be on the day and have a clear idea of timings and instructions. Decorate the space to create the perfect party atmosphere! Thank your guests, volunteers, donors and all those involved and encourage them to get involved in the future with the organisation that visited you. 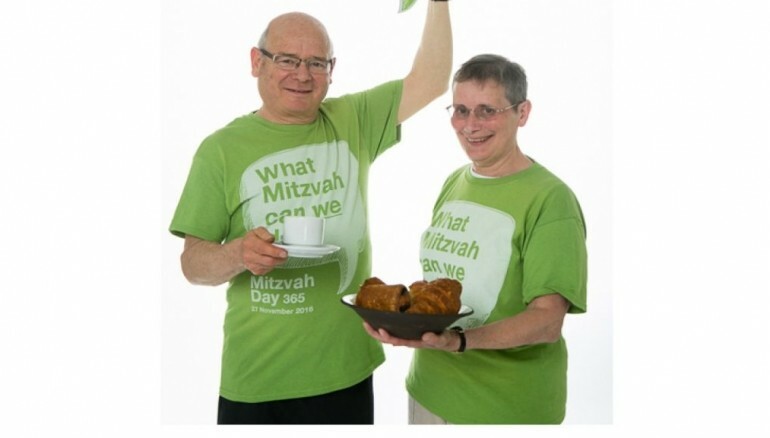 Send Mitzvah Day some photos and let us know about your successful Mitzvah Day “Be Our Guest” Project!